Should I Consider Crate Training My Dog? Think back to a time before dogs were domesticated. Wild dogs, wolves, and foxes often exhibit similar behaviours, such as the creation of a den. A den is a dog’s safe haven, the place they retreat to when they are feel frightened or threatened, it’s where they go to eat and where they raise their young. In your home, your pet’s crate becomes their den. Scared of thunderstorms? Lay in the crate and feel safe. Owner’s busy with guests? Head to the crate for a nap. Another reason to crate train is one every puppy owner understands: housetraining. If you have your puppy in a properly sized crate while unsupervised, potty training can be much easier. Properly sized would be large enough to stand up, turn around, and lay down comfortably, but not too large or they will choose one end to relieve themselves, and one end to play and nap. Crate training will keep your puppy safe while unsupervised. Puppies are like toddlers - they will put anything in their mouths. 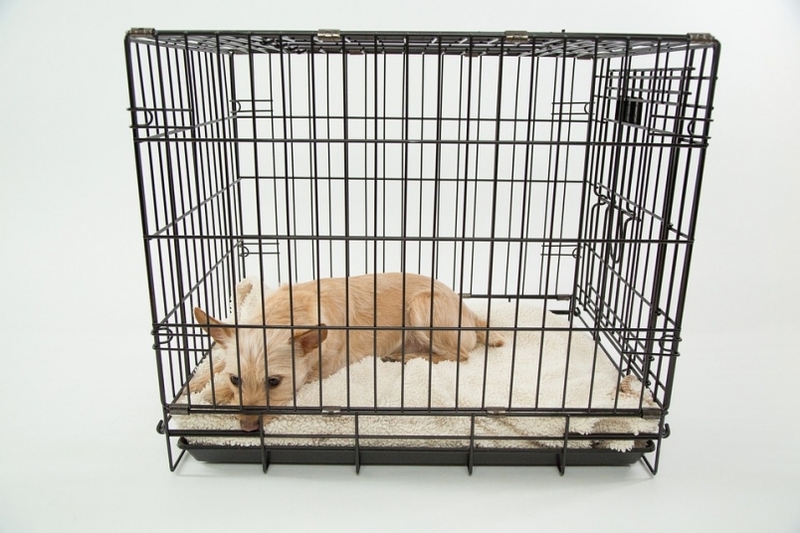 Lastly, crate training your dog will make kenneling, boarding, and even visits to the vet or groomer easier. Groomers sometimes use crates to house their clients, and vets will use them before and after surgery and for observation. If your dog is used to be enclosed in a crate, they will be far less stressed out when the groomer or the vet need to put them in one. Check back in two weeks when we answer the Top 3 Crate Training Questions!